Welcome! 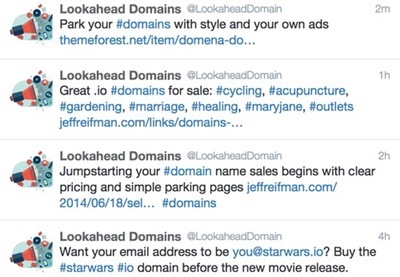 I know it's been a while since I added to our Twitter API series. I've been kind of busy. First, there was the brain tumor, then the robotic radiosurgery, then the ongoing Yii Programming Series and its related startup series and finally, the launch of Meeting Planner. I decided to write today's tutorial using the Twitter API for creating friends (what Twitter calls the people you follow). Why? Well, the bizarre U.S. presidential election of 2016 has highlighted some of the abuse and harassment that goes on every day on Twitter, something the company has done little to filter—and as programmers, we know that's not that difficult. It's simply feared losing its audience of hateful deplorables who drive a significant share of advertising revenue. Many women have left the service because of its ongoing harassment—for which Twitter sometimes apologizes, saying that it's trying to allow for free expression. Frankly, there is no freedom of expression when abusive harassment is indefinitely present. There have also been articles highlighting how many people's followers are predominantly male. While Twitter does not ask users their gender, it does statistically analyze the gender of accounts for its advertisers. 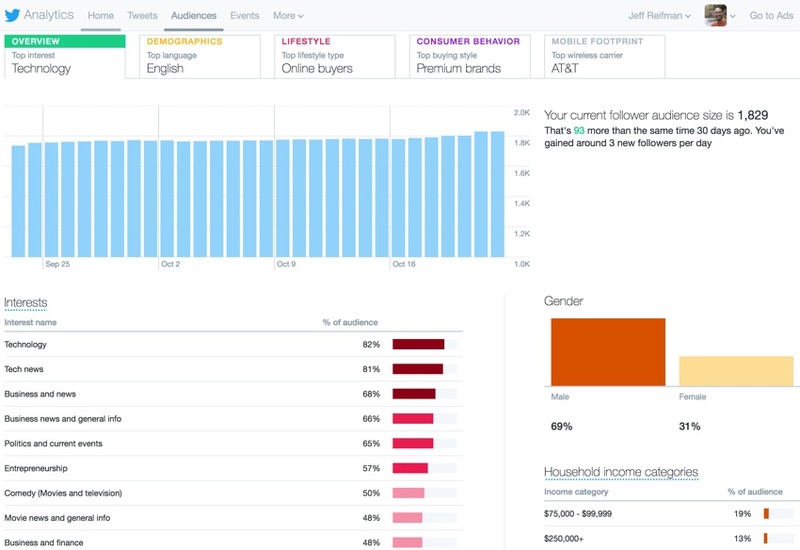 And you can peek at Twitter advertising's own demographic estimates in its analytics pages. As you can see below, Twitter estimates that 69 percent of my followers are male. Lost in the din is that woman's voices can be more difficult to find on Twitter. But they are out there. Pew reports that 21% of female Internet users use Twitter, while 25% of male Internet users do. And, I've created a website, Twixxr.com, which will let you demonstrate the feature by adding prominent women on Twitter for your account to follow. If you have any questions or feedback, please post them below in the comments or reach out to me on Twitter @reifman. 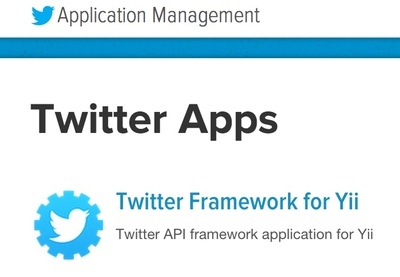 While I've written a handful of Twitter API tutorials in the past, they've all been based on Yii 1.x code. 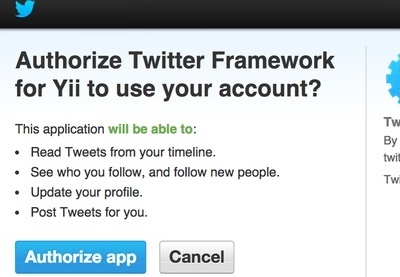 Yii2 has been out for a long time, and while I've written about OAuth sign-in, I haven't written about aspects of the API for your own account and/or on behalf of authenticated accounts for the upgraded framework. And it wasn't easy—there aren't great Yii2 plugins for Twitter yet. Not only will today's tutorial guide you through using OAuth to authenticating site visitors' accounts, but it will also show you how to add friends to their account using the access they grant you. Unfortunately, I wasn't able to find a robust working Twitter API extension for Yii2, so I leveraged the generic Twitter OAuth PHP Library to create my own Twitter model. Let's begin walking through the code. * This is the model class for table "payment". For read write access to their accounts, I'm extending the Auth table from the simple authentication access described in our Startup series' Simplifying Onramp With OAuth to include these extra verification keys. 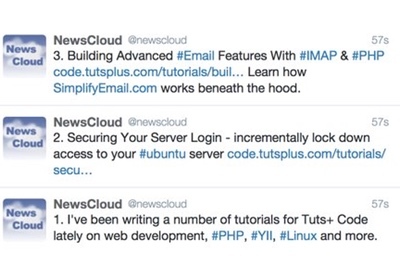 I also encourage you to walk through the live step by step at TwitterOAuth. It's an excellent example showing everything in action with your own Twitter account. Next, I created a Twixxr.php model which would provide a variety of important functions specific to the service. Firstly, I created Twixxr::loadProfiles() to synchronize names, bios, and Twitter-related counts, e.g. profile photos, status posts, followers, followings, of each woman identified in my static database of Items. This is called by a console cron job which I will describe later in the Yii2 series. So these profiles are synchronized gradually and repeatedly at specific intervals over several days. I won't detail it here, but basically I created a Log table of individual requests for every user and female account. In other words, Samuel would have 500 entries requesting an add friendship for each woman in the database. First, though, I would make sure Samuel (and every user of Twixxr) follows the Twixxr_com account. 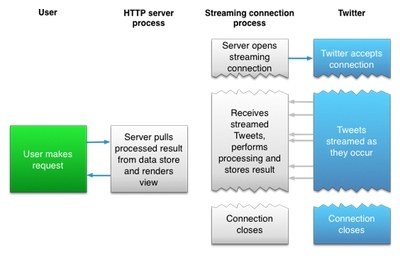 Twitter's API has strict rate limiting, and it makes using their API kind of difficult at times. The cron job above creates friendships for seven target accounts at a time before switching to another user's request until it's called again later. Here's Twitter::getFriendshipsShow(), which checks to see if this account is already following the desired account. In the above code, it skips requests that are redundant, to spare the rate limit. In the near future, I'll implement Twitter's bulk API for this, making just one call instead of hundreds per user using get/friendships/lookup. Note that you will need a developer account to access this page. 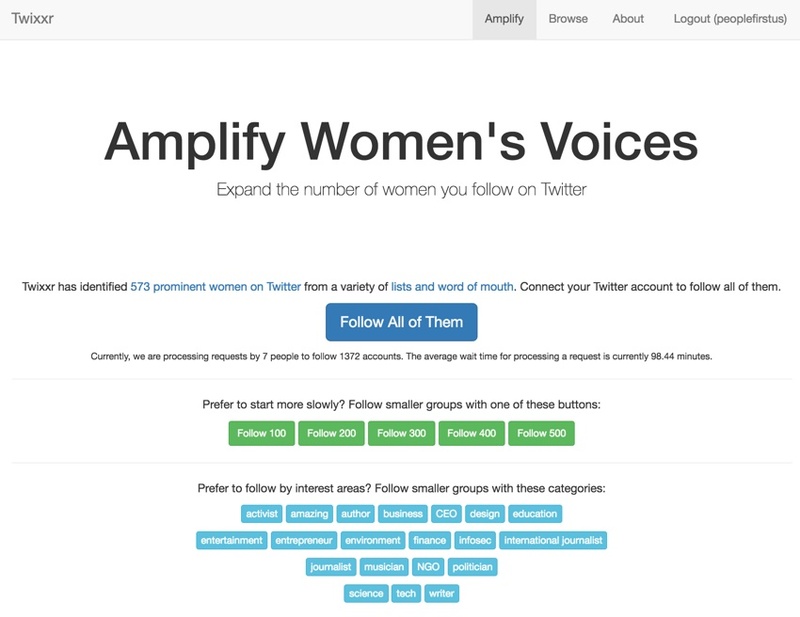 I'm logging every connection Twixxr makes, and if Twitter's API rate limits were less onerous and time-consuming, I'd allow visitors to have an undo feature for Twixxr, to unfollow all the women if they don't like all the new accounts. I did a lot in Twixxr to manage performance. Basically, I built the Log table to quickly record all of the user's requested friendships. But all of these are processed in the background. Unfortunately, the Twitter API does not allow for posting a list of accounts to follow in bulk. There is simply no way to do this in real time while the user is on your site. 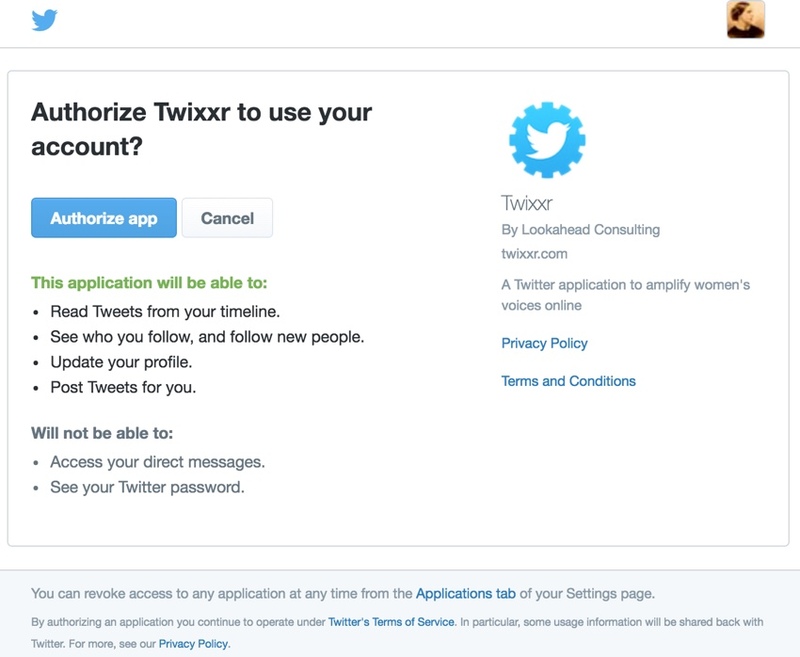 So the user response to a Twixxr request is immediate, but it may take several hours or more for all of the accounts to be followed. Here are the Twixxr::followAll and followCount methods that are also used by the numbered buttons above, for following 100, 200, 300 women, etc. They're just creating Log entries for each friendship request for the cron job to process in the background. 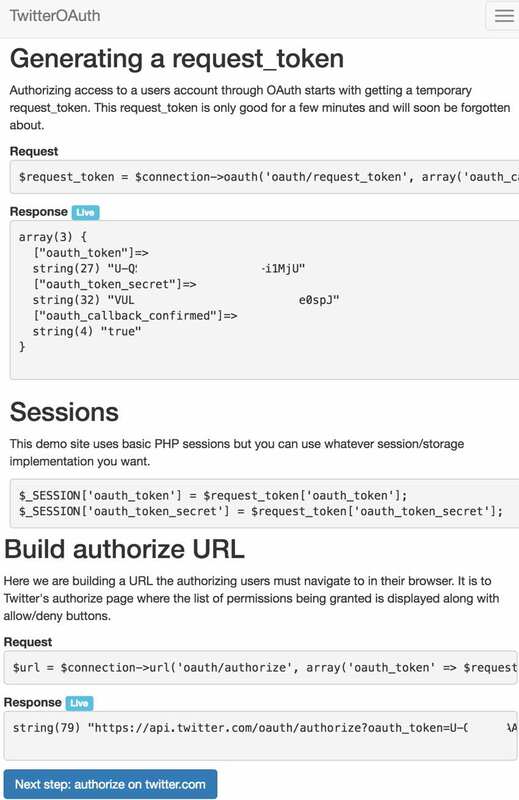 I hope you've enjoyed learning about using TwitterOAuth.php in Yii2 and how to authorize and apply the Twitter API on behalf of your site users. Next, I'd like to use the Twitter API to analyze my own followers. I have a suspicion that the vast majority of Twitter followers are spammy bots, and I'd like to use the API to prove this. Stay tuned. If you have any questions or suggestions, please post them in the comments. If you'd like to keep up on my future Envato Tuts+ tutorials and other series, please visit my instructor page or follow @reifman. Definitely check out my startup series and Meeting Planner.